Poor returns and the difficult task of engaging indirect members leads some CUs to shift their focus. 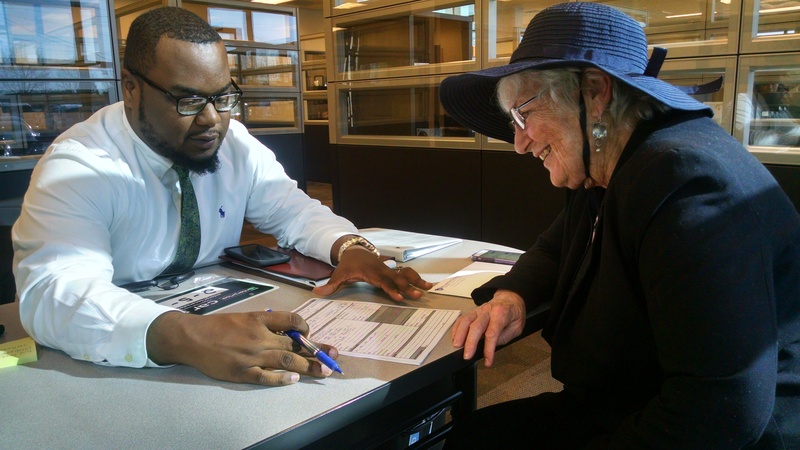 Stevon Wilkerson, a sales consultant for Enterprise in Columbia, S.C., goes over an offer on a late-model Nissan with Nina Grey, who borrowed directly from Palmetto Citizens Federal Credit Union. Palmetto Citizens offers a discount to members who buy used cars from Enterprise. Indirect auto lending has been one of the fastest-growing segments for credit unions.